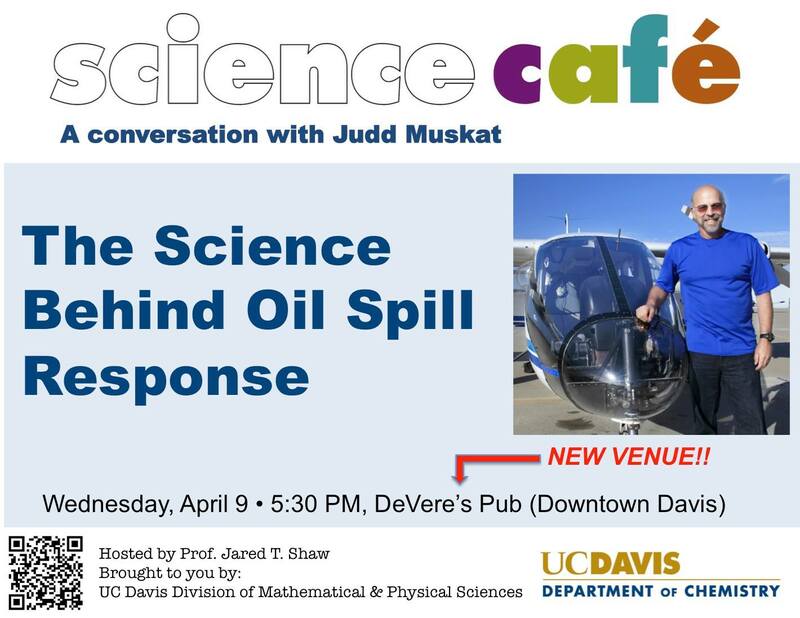 The Davis Science Café series returns this month at de Vere’s Irish Pub with Judd Muskat, senior environmental specialist at the Office of Spill Prevention and Response (OSPR) at the California Department of Fish and Wildlife (CDFW). OSPR is the state office charged with protecting California’s natural resources by preventing, preparing for, and responding to spills of oil and other pollutants, as well as restoring affected resources, including seabirds and sea otters. As always, the events are free to the public. Science cafés and science pub nights are a growing movement in many cities, offering a more casual setting for science outreach and allowing interested public to directly converse with researchers. The Davis Science Café series is organized by Professor Jared Shaw, with support from the National Science Foundation. Help plan future events and join other Davis science enthusiasts on Facebook at http://www.facebook.com/groups/davissciencecafe. Interested in organizing a Sacramento Science Café? Contact us with your suggestions.